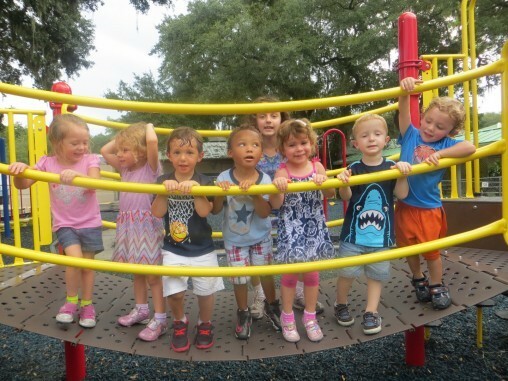 The Tampa Jewish Community Centers Preschools are a joyful and inclusive community of learners devoted to cultivating the creative spirit of young children and families through inquiry and meaningful experiences. Trained professionals provide an excellent secular program enhanced with rich Judaic components. We offer a variety of programs for children, ages 12 months through five years. The educational component of the preschools is based on the developmental needs of each child and guided by the current best practices in early childhood education. A combination of strategies are used to teach emerging literacy and math concepts, science, social studies, motor development, creative art, and music to all our children. Social Development includes learning how to cooperate, share and interact with others, as well as how to make friends and relate positively to other children and adults. Children learn to sit and listen as part of a group, follow rules, and participate in an organized routine. Your child will gain confidence as he or she is encouraged to think critically, make good choices and act independently. Emotional Development relates to the growth and maintenance of a child’s healthy and comfortable separation from parents. This includes growing feelings of self-esteem and general happiness, and an eagerness to participate in school activities. We encourage your child to verbalize his or her feelings toward others, resolve conflicts independently, and to show initiative while making appropriate choices about what to do and how to do it. Cognitive Development prepares your child for successful school experiences. Literacy, science, social studies and mathematical concepts are woven into the natural work of the classroom. Children develop critical thinking skills as they participate in and explore activities that require them to classify, sort, examine, synthesize, and apply their thinking to new experiences. Physical Development includes improving gross and fine motor coordination, increasing strength and agility, and developing an appreciation of the importance of good life-long health habits. Creative Development emphasizes the process that allows a child to imagine, be original, generate a variety of different ideas through divergent thinking, problem-solve, and gain the ability to produce a tangible outcome. Encouragement of children’s play is fundamental to our creative environment. Our teachers facilitate play in open classroom centers through process-oriented art, dramatic play, music and movement. Through it all, children are encouraged to verbalize their thinking and expand upon ideas. Jewish Identity is explored through integrating Judaic experiences into a child’s life through song, story, art, cooking and movement. Jewish traditions are enriched through additional holiday and Shabbat activities.